R.V. MACHINE TOOLS was established in 1992 as a precision machine tools manufacturer. Initially we started to make customized metal cutting SPM like Turning, Milling, Drilling and Tapping. Later on we designed and started manufacturing of standard products of RV Capstan Turret Lathes, Multi Spindle Drilling / Tapping Heads, Hydraulic / Pneumatic Auto Drilling Machines with the continuous improvement in new versions. We also manufacture Rapid CNC Lathe, NC Drilling and Tapping Machines and Heavy Duty Hydraulic Operated drilling SPM, CNC operated SPM’s. Our products are manufactured to the highest quality standards with the highest versatility, which guarantees the user outstanding precision performance. This commitment to quality and expert the workmanship enables us to offer the machines that fully meet the customer’s strict requirements of machine performance. We are committed to achieve customer satisfaction through continually improving our Hi-Tech quality and cost effective products delivered and serviced in time. We will continue to expand its knowledge based programming capabilities by combining innovation with strategic partnerships to provide our customers with even more ways to optimize their productivity levels. We are the authorized distributors for M/s. Hurco Companies Inc. USA is manufacturing Vertical Machining Centers, Horizontal Machining Centers and Turning Centers. We have also taken distributionship of M/s. 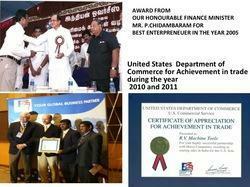 Hi-Life Machine Tools Pvt. Ltd., manufacturing Cylindrical & Centre less Grinding Machines and M/s. Mitoya Instruments, manufacturing Optical Profile Projectors, HURCO Machineries Distributors. was established in 1992 as a precision productivity special purpose METAL CUTTING MACHINES manufacturer. Developed through standard products such as pneumatic hydraulic Drilling machines pitch control Tapping Machine, Multi Drill Heads, Capstan Turret Lathe and CNC Chucker. Manufacturer of wide range Pneumatic, Hydraulic, NC ,CNC Drilling Tapping machines and SPMs catering to different industries for MOTOR PUMP,AUTO, VALVES AND TEXTILE industries such as motor body boring and drilling tapping motor body covers drilling tapping, shaft facing and centering. Friction Welding and Friction Stir Welding Machines. RV MACHINE TOOLS ’ feels proud in saying that RV is the pioneers in the Manufacture of Friction Stir Welding machines (right from Design to Development) in India. 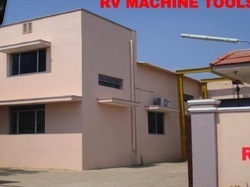 Since 2004, RV dedicated, in manufacturing Friction Welding and Friction Stir Welding Machines. 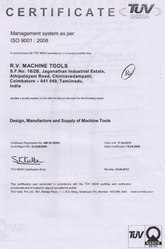 R.V Machine Tools applies a quality system in line above standard. We have a strong and dedicated team working for us, and it is because of our team that we have been able to satisfy the requirements of all our clients. A number of qualified and well-trained engineers are involved at all the stages of manufacture. We have a team that pays close attention to the raw material being procured for the process of fabrication. 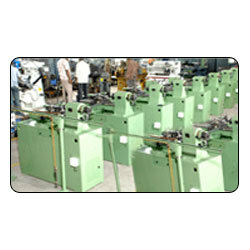 Technical experts have been employed to guarantee the proper and efficient functioning of all the machines in our unit. Our quality analysts pay close attention at every point of the procurement and manufacturing processes. They also ensure that all consignments are packaged properly and stored under properly before being dispatched to our clients. Our sales team has created a wide client network, which enables us to gather vital feedback and improve our metal cutting machines.